He also lauded Pakistan team for putting up a clinical show in the third T20I. Pakistan finally managed to put up a convincing show in the third and final T20 International against South Africa in Centurion. They fell short agonisingly in the first couple of matches but when it came to defending a total, the World No. 1 side was at its best again. Defending 168 in the dead rubber, Pakistan picked wickets at the regular wickets and restricted the Proteas to 141 runs to end the tough South Africa tour on a winning note. 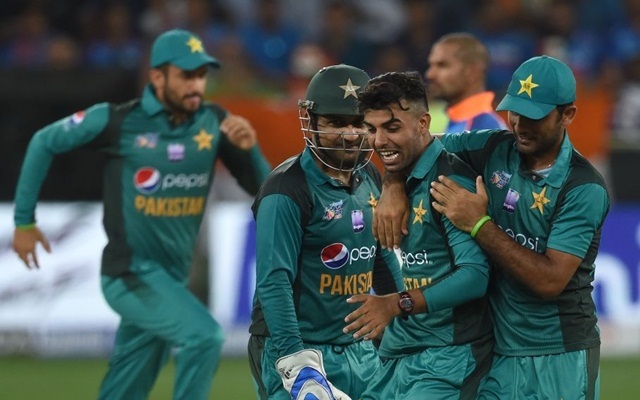 Shadab Khan, the leg-spinner, fared better compared to the first couple of matches scoring 22 off just 8 balls with the bat and then accounting for two crucial scalps. He sent back the likes of David Miller and Andile Phehlukwayo to rock the back of South Africa’s chase and won the Man of the Match award. After the victory, before bidding adieu to the rainbow nation, admitted that this was a tough tour for Pakistan and thanked the fans for all the support. “That was a tough tour. Glad to finish it on a good note, personally I learnt a lot and will hope to use this experience to improve. We could have done even better but credit to SA for their performance. Keep supporting us. Your support makes us better. #PakistanZindabad,” Shadab wrote in his tweet. Meanwhile, Shahid Afridi was delighted with a clinical performance from the Men in Green in the dead rubber and reserved special praise for Shadab Khan. He also went on to say that the leggie has the ability to become a brilliant all-rounder while also pointing out that Shadab will be key to Pakistan’s chances in the upcoming World Cup in England. “Excellent all-round performance. you are a star and have it in you to become a great all-rounder. Keep up the good work you’re pivotal to our World Cup campaign,” Afridi wrote in his tweet. This comes as a huge compliment for the youngster as Afridi himself was a star all-rounder during his playing days at the highest level. Get the latest Cricket News and updates from South Africa vs Pakistan series, Match Predictions, Fantasy Cricket Tips and lots more on CricTracker.com.